When your cat is stressed out, you’re stressed out. 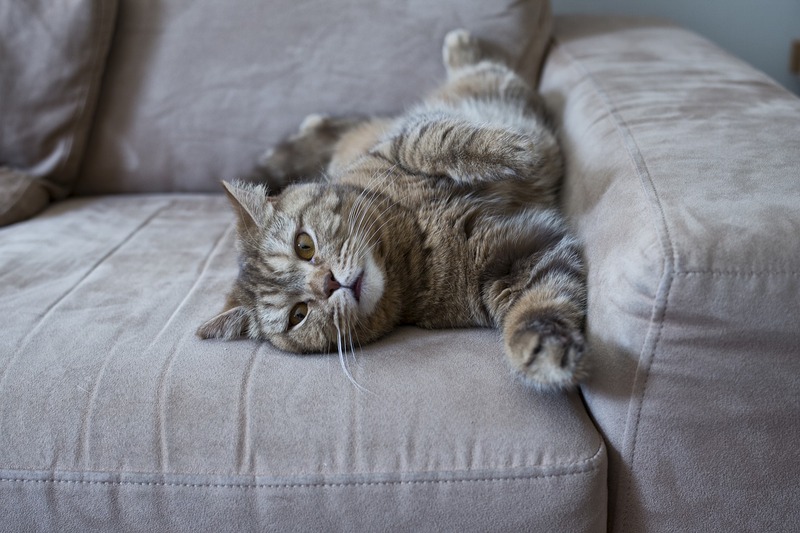 While some cats seem almost immune to stress, others grow stressed almost at the mention of rearranging the furniture. 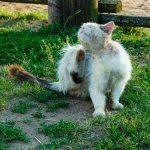 If your cat tends to get anxious easily, you know how hard it is to see your cat suffering. Stressed out cats are not happy cats. There are many reasons your cat may be stressed out. Environmental changes, a new diet, the introduction of a new pet, or a visit from the relatives could all cause a flare up of stress. Your cat’s stress can manifest itself in several ways, some of which are not only mentally troubling but physically harmful to your cat. 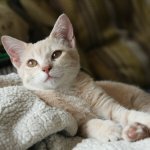 It can be difficult to identify whether your cat’s personality or behavioral changes are due to stress or an underlying health issue. The signs of stress listed below are also common symptoms of other issues, so keep a close eye on your cat in order to rule out any more dangerous ailments. 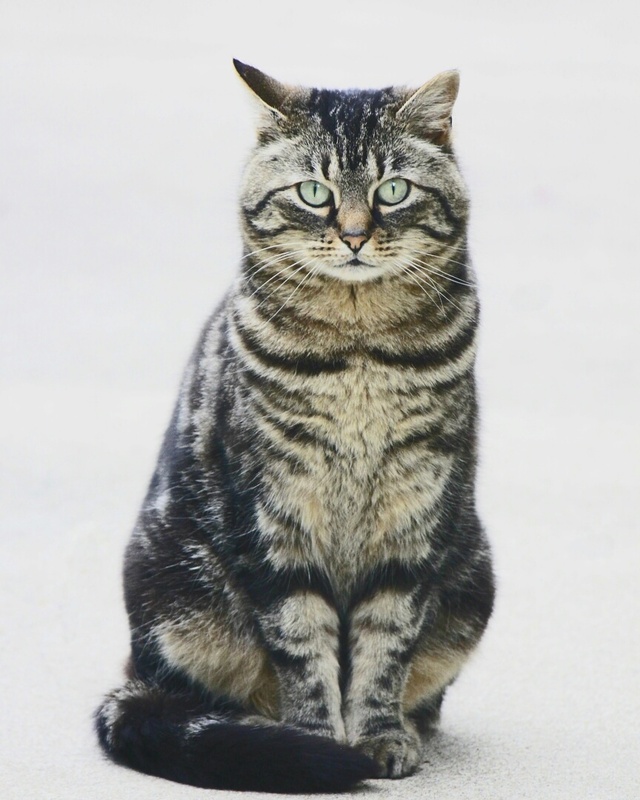 Ask yourself whether these symptoms started along with some change in your cat’s life. The introduction of a new pet, family member, or a change of location will usually coincide with the onset of your cat’s behavioral changes. Hiding. If your usually friendly cat has become a hermit and is constantly hiding under the bed, it’s possible that stress is the culprit. Oftentimes, a stressed out cat wants nothing more than to spend some time in seclusion. Inappropriate urination. If your cat is going outside of the litterbox, it’s a sign something is wrong. If FLUTD has been ruled out, your cat may simply be under a lot of stress. Decreased appetite. Is your cat just not as enthusiastic about mealtime as they once were? While a fairly common symptom of a stressed out cat, a decreased appetite can be dangerous if your cat isn’t consuming enough food to keep them healthy. Excessive grooming. Your cat may even lose hair by licking themselves too much out of stress. Aggression. 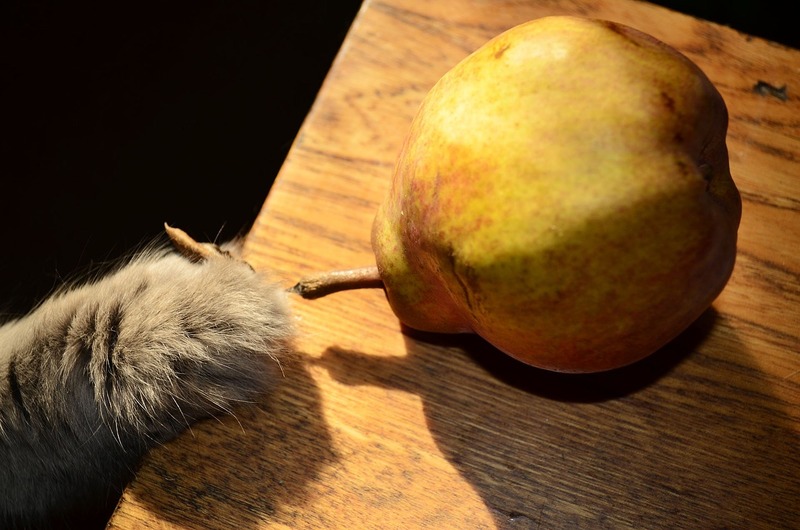 A stressed-out cat may sometimes become aggressive or defensive – or both. Again, all of the above symptoms may also point to something more serious than stress. It’s up to you to know your cat, to know how they communicate, and to be able to recognize the difference between stress and sickness. 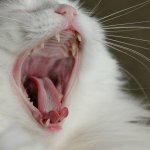 How does stress affect my cat? Stress is unpleasant. You probably know it. I definitely know it. 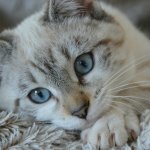 Your cat more than likely knows it, too! Overly taxing situations can lead not only to mental distress but physical distress as well. When stress hits hard, your cat may even lose weight or groom themselves bald. It’s important to manage your cat’s stress levels as much as possible in order to keep them healthy. Remove or lessen the effect of stress triggers. This one is pretty obvious. If at all possible, identify what caused your cat’s stress in the first place. If it’s possible to get rid of it, do that. You’ll probably be less stressed out, too. If you can’t get rid of the thing that’s got your cat’s whiskers standing on end, try to make it less agitating. How do you do that? Provide high perches from which your cat can watch the new pet at a safe distance. Being high in the air will give your cat a sense of dominance over the situation, which is soothing for an anxious cat. Help the pets get to know one another gradually by keeping them separated for a while. The pets can get introduced through interacting from opposite sides of a closed door. Eventually, they may begin to interact face-to-face, but a gentle introduction can help both parties stay calm. It’s best to help your cat deal with the stress of a new baby by preparing them beforehand. Ideally, you can prepare your cat for the change by introducing them to the sounds, sights, and smells of a new baby before the infant is born. If the baby has already been born and your cat is stressed out, try to maintain some degree of routine and normalcy in your cat’s life. Make sure that daily routines remain the same as they were before the baby came along. Create a calming space for your cat so that they can get away from the commotion. This may be a quiet closet filled with your cat’s favorite bedding or a closed-off room with their litter box and water dish in it. Again, routine almost creates the illusion that nothing has changed. Although the stress of a major move affects everyone in the home, it’s important to maintain the old routine. A well-used bed, regular mealtimes, and some peace and quiet will help your cat to cope with the new changes. Feliway is a synthetic pheromone spray. So, yes, it’s not exactly natural. 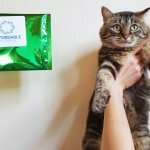 But it replicates the naturally-produced pheromones secreted in your cat’s body – substances that trigger relaxation responses. 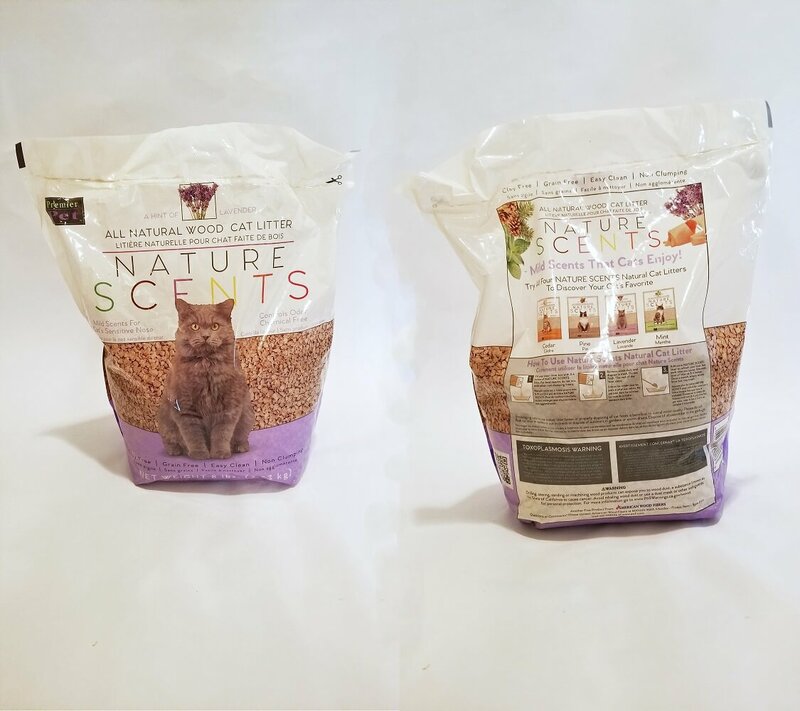 When reproduced synthetically and used around cats, these pheromones are scientifically proven to reduce anxiety-related behaviors. Catnip, like Feliway, creates a calming response when it comes in contact with your cat’s smell receptors. You probably know that catnip often makes cats excitable, but it can also help them to relax. Use a catnip spray, fresh leaves, or dry catnip in your cat’s favorite areas to create a fun and calming environment. 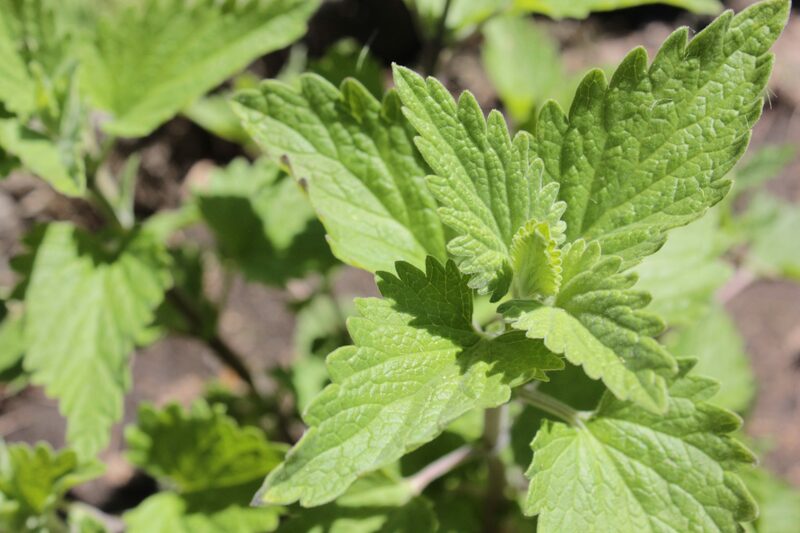 Whether your cat is stressed over a car trip or a new family member, catnip can help to soothe them. Sometimes it’s impossible to completely prevent stress in cats. However, exposing your cat to a varied, stimulating life early on can help them be better prepared to deal with change. 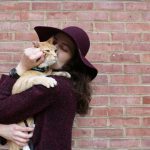 With an expanded worldview and a stimulating adventurous lifestyle, cats who go for adventures are better prepared to deal with new things: trips in the car, meeting new people, and changes in the environment. 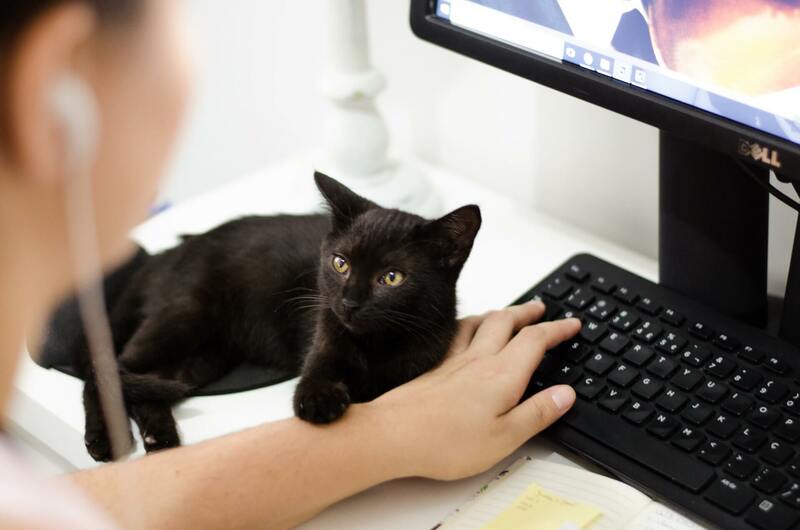 Just as a rich life full of varied experiences helps to make people calmer and more ready to deal with new experiences – and new faces, a stimulating lifestyle can help cats handle these potentially stressful situations as well. Reduced stress levels is one of the reasons why we recommend walking your cat outdoors.